The Azkals have qualified for the Asian Cup! Yes, the Philippines have qualified as one of the teams to compete for the continent’s biggest prize in the United Arab Emirates (UAE) in 2019. It took a while for some of my friends to digest this statement. I can’t blame them as growing up, we were used to seeing them as one of the minnows of Southeast Asia, let alone Asia. Since 2010, this meteoric rise of an archipelago country consisting of more than 7,000 islands with a fledgling football scene deserves a story if its own. It took a lot of bold moves from several prominent people within the Filipino football community to achieve this goal. It’s worth noting in the regional AFF (ASEAN Football Federation) Suzuki Cup between 1996 and 2007, they only recorded one victory. They didn’t even qualify for the 2008 edition. Like Lithuania, the Philippines have a distinct sporting culture that lean more towards the orange colour of basketball, rather than football. A friend of mine who has traveled to the country has said that it was easy to find kids sporting Lebron or Curry kits than say, Messi or Cristiano. Even their jeepneys, the country’s iconic public transport, can be seen painted in the purple and gold colours of the Lakers as opposed to the red and blue of Barcelona. However, when one looks at the country’s history, you would realize that football had a domino effect on the Philippines around a century ago. It was the Spanish who first introduced the game to the locals. At the beginning of the 19th century, the national team were considered among the powerhouses in Asia. But all that changed when the Spanish-American war broke out in 1898 in Cuba, which eventually reached the Philippines. Following Spanish defeat, the islands seceded to the Americans. As a result, the game’s popularity took a nosedive. As a part of the conquest to replace Spanish culture, basketball was used in line with physical education. Eventually it began to take grip on the Filipinos’ way of life, and is now the de facto number one sport. Even after World War II, football continued to have a cult following in the Philippines. While the results may vary, this movement was instrumental in ensuring to keep the game alive in the country. Of course, little or to nothing at all was known about it back then. To my memory, defeating Malaysia on home soil during the Southeast Asian Games in 1991 would be considered among the greatest results in the modern era. 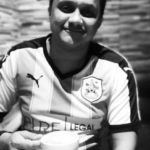 In 2005, two young brothers from Ashford, England arrived in Manila and would plot a revolution that would change the face of Pinoy football forever. The manner which they were discovered is the stuff of legend. It appears that some kid in Manila discovered them whilst playing Football Manager. The gamer realized they were eligible to play for the Philippines via their Filipino mother. He went to notify the Philippines football authorities about their existence. Phil and James Younghusband were then attached to the Chelsea’s youth academy. By now, their prospect of playing for England is as good as Tom Brady throwing a touchdown pass in Siberia. Therefore, representing the country of their mother was a no brainer. They were included in the national team Under-23 squad that was going to take part in the Southeast Games on home soil. Despite not going far, the team gave a respectable performance. They were more than a match against tournament favourite Thailand, losing by a goal to nil. They notched up a 4-2 victory against Laos with James scoring twice. Their campaign came to an end after losing 2-4 to Malaysia, this time Phil bagging a brace. Despite their premature exit, this campaign unlocked the potential that Filipino football had. Apart from the Younghusband brothers, the squad also comprised of several other Filipinos born overseas. This prompted the football authorities to ask if there were more “Younghusband” types out there. It is estimated that there are 10 million Filipino diaspora based throughout the world. As the Philippines Football Federation (PFF) intensified their search, they began to discover footballers with Pinoy parentage from the United States to Germany to Japan. The inclusion of these players in the national team set up had an instantaneous impact on the Azkals rise. Between 2009 to 2014, the Philippines were among the best movers in the FIFA’s world ranking. Another important factor that contributed the Azkals improvement is the appointment of businessman Don Palami as the national team manager. Palami has drawn up a plan that will take Azkals into the top 100 of the FIFA rankings. Of course, this plan didn’t come cheap and since there was lack of funding made available, much of this investment for this plan came from his own pocket. The 2010 AFF (ASEAN Football Federation) Suzuki Cup was considered a landmark moment in Pinoy football. No one gave the Philippines any chance as they were in the same group with regional powerhouse Vietnam, Singapore, and Myanmar. Despite this, they defied the odds to remain unbeaten and this includes a stunning 2-0 win over defending champion Vietnam. The match will be remembered forever by Filipinos as the Miracle of Hanoi. In the semi-final, they pushed Indonesia all the way only to lose both legs by 1-0. By any means, this is considered an overwhelming success for a side who not too long ago were considered the whipping boys of Southeast Asia. The achievement in this tournament became a catalyst to football’s popularity in the Philippines. The improvement of the Azkals didn’t just stop there. They made it to the semi-final in the next edition of the AFF Suzuki Cup. Proving their result against Vietnam from 2010 was no fluke, they notched a 1-0 win in Bangkok. However, it was another heartbreak exit in the last four, losing to eventual champions Singapore. In 2014, the PFF named former United State international Thomas Dooley as their new head coach for the national team. Dooley had a tough act to follow considering his predecessor, Michael Weiß. The German has been credited for playing an instrumental role in the Azkal development. Under Weiß, the Philippines rose to 127th position in the FIFA’s ranking, their highest ever in history (since then, the Azkals have climb to 124). Dooley’s first task was putting the team together for the AFC Challenge Cup, which was held in the Maldives. This competition was introduced by the Asian Football Confederation (AFC) to give lower ranked teams in Asia a chance to play in a competitive environment. Furthermore, the tournament also comes with an added bonus. The winner will earn automatic qualification for the 2015 AFC Asian Cup. The Azkals were in great form, going to the final, only to lose by one goal against Palestine. The defeat left a deep scar on the Azkals as it presented their best chance to qualify for the Asian Cup. There was some consolation though for them at the year end Suzuki Cup. They continued their spectacular upsets against a renowned side, this time drubbing Indonesia to a 4-0 win. An earlier win against Laos was good enough to take the Philippines to their third consecutive semi-final. As in the case in the previous two editions, they were bundled out by eventual winner Thailand. 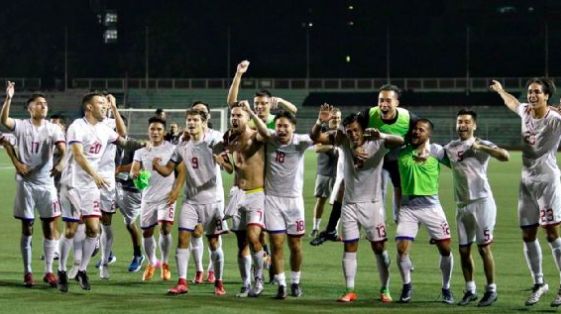 The years between 2015 to 2018 proved to be a roller-coaster time for Dooley and the Azkals. While Dooley was praised for his ability to blend new and young players, some of his approach didn’t go down well with his senior stars. Most notable name is Stephan Schröck who resigned from the national team and claimed he will never return as long as Dooley was still in charge. Though the two of them have reconciled, Schröck hasn’t played for the Azkals for almost three years. Dooley has also come under tremendous pressure following the Azkals failure at the 2016 AFF Suzuki Cup. Despite being one of the group hosts, they failed to make it past the group stage and ended the tournament winless. He still managed to keep his job partly because the national team had an amazing run in the World Cup qualifier, which also coincided as the 2019 Asian Cup qualifier as well. The Philippines started with a bang by claiming a 2-1 win over Bahrain. They followed this up with another win over Yemen (2-0) in Doha. Other impressive results include a goalless draw in Pyonyang against North Korea, but notched up a win against them in Manila (3-2). They finished third in their group, which gave them a direct route to the second round with no need to take part in the playoff. I must say that I do find the Asian Cup qualification format colossally flawed. Nevertheless, it gave a favourable draw for the Philippines who found themselves in the same group as Tajikistan, Yemen, and Nepal. And Dooley’s men took full advantage of this by kick starting with a 4-1 win over Nepal at home. This was followed by a daunting trip to Dushanbe to face Tajikistan to which, the long distance flight didn’t affect the Azkals at all. They came away with another impressive 4-3 win. This pretty much set the stage for them to book their passage to the Emirates. However. three consecutive draws (twice to Yemen and once against Nepal) meant that they had to wait until the last day fixture at home to Tajikistan to be sure of their qualification. The Azkals weren’t the only ones who were looking to make history here. The Tajiks too were one win away from securing their elusive place among Asia’s elite. But right after the one hour mark, everyone inside the Rizal Memorial Stadium were bracing for the worst. The visitors took the lead after the referee pointed to the spot from which Akhtam Nazarov converted the penalty. 10 minutes later, the Azkals sparked the Pinoy comeback when a cross from Iain Ramsey found Kevin Ingross who headed for the equalizer. That sent everyone inside the stadium into a frenzy. At this point, it was all good enough for the Philippines since they only needed a draw. But some reason, a point just didn’t have the extra dose to make this occasion as tasty as Philippines famous pork adobo. In the 89th minute, Patrick Reichelt was fouled inside the penalty box. The referee blew his whistle and pointed to the spot. It almost looked like the gods of football wanted the Younghusbands to have a final say in this game. After all, both Phil and James (alongside goalkeeper Neil Etheridge) have featured heavily for the Azkals since the Miracle of Hanoi era. The trio have always been the pillar for the Filipino side that was in the making for almost a decade. That penalty from Phil Younghusband took his Azkals tally to 50 goals, putting him among the likes of Luis Suarez, Robin Van Persie, Tim Cahill, Shinji Okazaki, and Ali Daei; elite footballers who have a half century goals for their country. How about that! For team boss Palami, his decade worth of investment has paid off big time. As a patron of Filipino football, his contribution from off the pitch is as huge as those from the Younghusbands and other players on the pitch. Days before the kick off against Tajikistan, it’s been said that Palami has been working around the hours in ensuring the team’s preparation were all in place for this important game. Keeping the players comfortable and focused was vital. The mood among the players and the atmosphere during training camp was the best it had been in a while. In an earlier trip to Kathmandu, apparently the players were segregated and arrived in three different flights. Such thing can only have a gloom-ridden affect on the players. Palami ensured there was no repeat of this and fought hard to get the players the best treatment as possible. Not only that, he was heavily involved in promoting the game on various fronts, something that was never done in the past. There was also fan engagement on various platforms, trying to rally their support and presence at the Rizal Memorial Stadium. Palami’s effort in recruiting players from overseas was also a paramount factor in the Azkals qualification for Asia. I wish to hear stories on how he managed to convince the player’s parents. After all, some of them were within touching distance of playing for their birth country instead of their parent’s homeland. It must have taken Palami some effort of convincing to get them to declare their legion for the Azkals. However, such moves also had adverse effects from the media and fans. The lack of local born players within the national team set up has been questioned on several occasions. While this is an understanding concern, it is worth noting that the present system isn’t up to the standard that would allow the Azkals to flourish as it already has. Many of the overseas players come from countries that have affluent football culture; something which doesn’t exist in the Philippines. With the Younghusbands and Neil Etheridge, you tend to see the grit and determination of the English game. The likes of Ingresso, Reichelt, and Manuel Ott tend to bring the precision and pressing style of Germany. A little bit of Spanish flair from Javier Patino and Carli de Murga. A dose of total football from Paul Mulders. Some Italian flavour from Dennis Villanueva and Simone Rota. How about a little closer to home, Daisuke Sato and Hikaru Minegishi from Japan. That’s just a tip of the iceberg on how these players bring a different vibe and quality within the national team set up. This sort of melting pot is somewhat unique for any national team in Asia. Dooley has done a great job on bringing it altogether. After all, he isn’t a stranger to such circumstances, as he was a key figure in the United States team at the 1994 World Cup on home soil. The American side in some ways resembles the current Azkals for its diversity of players. The PFF has certainly used this to its full advantage. Though these different football cultures can be unusual, it is however a learning process from everyone involved in Filipino football. Qualification for the Emirates will only make the Azkals look more attractive than ever. In 2009, the PFF introduced its first proper league competition. First, it was known as the United Football League. Then in 2017, it was rebranded as the Philippines Football League (PFL). This was a stepping stone in bringing the overseas and local talent together under one roof. Local born players will now have the opportunity to learn and rub shoulders with their fellow Pinoys born overseas. This could raise the standard of football within the country. As for the Younghusbands, their legacy in Pinoy football goes without saying. While their contribution alongside other overseas Filipinos is immense, the brothers felt that there is a need for a long term goal. They’ve opened their own academy in the country with an aim of nurturing and improving the local talents. By the way, you might be wondering what the term “Azkals” really means? In the Tagalog language, it is the portmanteau term referred to the local street dog in the Philippines. Such dogs have been known for their adaptive and high survival skills in some of the toughest environments on the streets. It’s a fitting ode to a national team that has survived its own test of time in a continent where the football competitiveness can be extremely imbalanced between those from the top and bottom. But the Azkals have adapted very well in these harsh environments by withstanding whatever challenges that were thrown at them. And for their reward, they are now among the best teams in Asia that will play for the continent’s highest honour in the UAE. So what can we expect from the Azkals come 2019? The latest edition will see 24 teams competing for the first time. Like the Philippines, Yemen and Kyrgyzstan are among the debutantes in the tournament. So who knows if one of them will have a similar run like Iceland had in Euro 2016. It would nice for these countries, who have already made leaps and bounds, just to be there in the UAE. In the Azkals case, such runs could see an entire country on its feet; something which is common whenever a Manny Pacquiao fight takes place. For the group stage, the Azkals will be taking on South Korea, China, and Kyrgyzstan. On paper, it looks tough for them. Taking maximum points against the Kirghiz should be the main goal. Against the Koreans and Chinese, it’s all about damage limitation. With the actual tournament just eight months away, time is absolutely precious for the Azkals as they prepare themselves for the journey to UAE. Without a question, the first task would be to sort out Dooley’s contract which has been up in the air since it expired in early April. I think it will be foolish for the PFF to go with a new guy at this stage. All the hard work and meticulous plans set for the Asian Cup could go up in smoke since Dooley has been in the job throughout qualification. There are rumours suggesting removing Dooley were partly due to efforts taken to open the door for Stephan Schröck to return to the Azkals. How true this is remains to be seen.Whatever the plan is, the next eight months could prove to be the most interesting times in Filipino football.